Green Light Music is (was) the music licensing arm of Corbis rights management. I was hired to design a blog, as well as to be their lead writer. 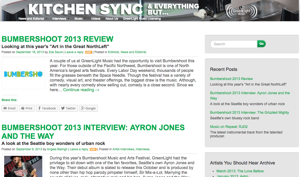 GreenLightMusic.com was built on top of Twitter’s Bootstrap framework, so I researched and chose an implementation called The Bootstrap. All told, I produced 51 articles for GLM, including interviews, video selections and editorals.